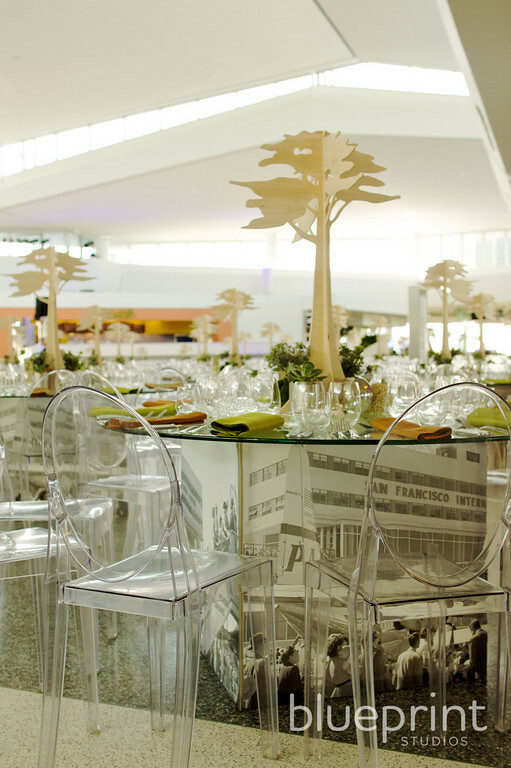 Blueprint Studios, a full service event design, fabrication and rental firm, had a large role in the celebration party for the opening of Terminal 2 at San Francisco International Airport (SFO). Elegant and modern décor added brilliant ambiance to the new LEED Gold Certified SFO Terminal 2. The Blueprint team really rose to the challenge of crewing an event design that complimented Gensler’s stunning design for the terminal. 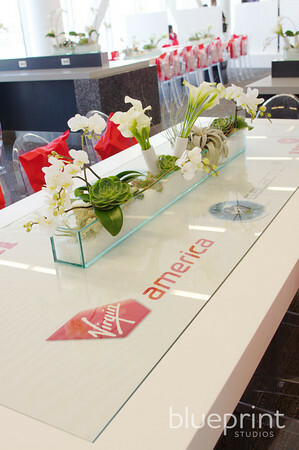 Blueprint Studios, a San Francisco event planning firm, participated in the design and décor for three events celebrating the grand opening of Terminal 2 at San Francisco Airport, the new homes of Virgin America and American Airlines. The three events included a Virgin VIP Luncheon and Gala dinner on April 6, Sponsor Appreciation Wrap Party on April 7, and a Community Open-house on April 9. Terminal 2 at San Francisco Airport is the first Gold LEED-certified airport in the country. Construction generated 2,758 new jobs for Bay Area residents. For more information about Blueprint Studios’ services, call them at (415) 922-9004 or visit them on the web at blueprintstudios.com. 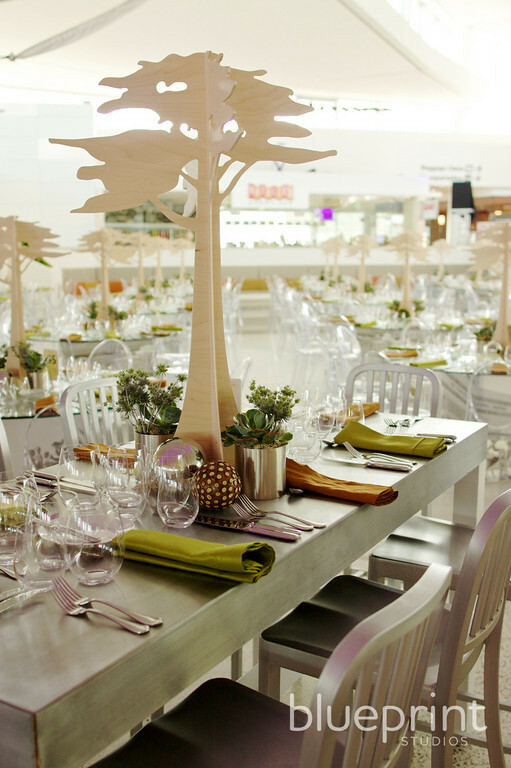 Blueprint Studios is a San Francisco event design, floral design, fabrication and rental firm dedicated to creating exceptional special event environments with thoughtful detail and dedicated customer service. 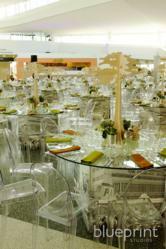 For nearly a decade, Blueprint’s team of designers, production craftsmen and installation managers have established a reputation for providing cutting edge event decor, floral artistry and stylish furnishings for both timeless and modern settings. 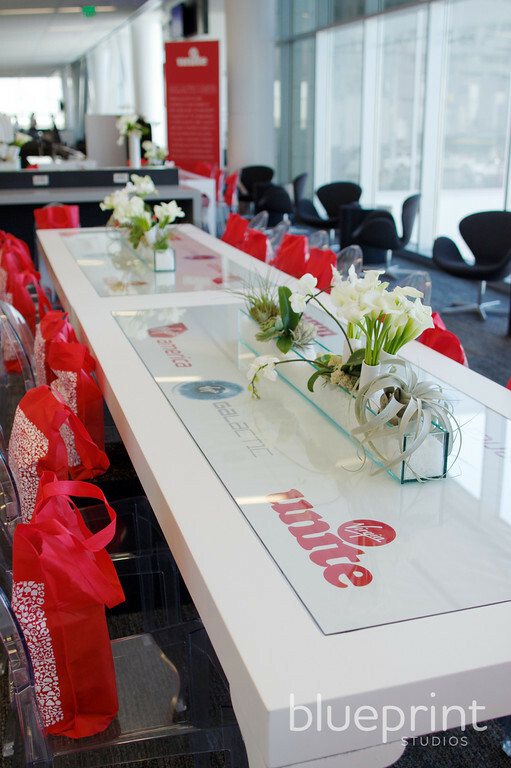 Clients can experience the next generation of event design, focused on unique creativity and value-driven alternatives to meet the needs of today's corporate and social event planning partners.